This workshop built on the pedagogy of Christopher Bayes (Head of Physical Acting, Yale School of Drama), reintroduces students to a childlike world of expressiveness through the vehicle of clowning. Zachary Fine, officially “trained and released” by master teacher Bayes, will guide students through physical, vocal, and kinesthetic exercises designed to challenge your greatest fears and invigorate your sense of abandon, heart-opening vulnerability, and joy. Once confirmed there are no cancellations. 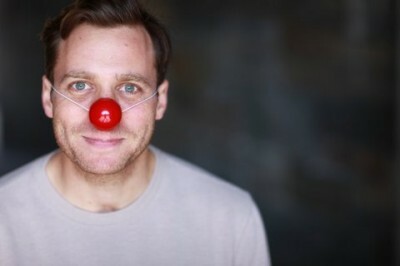 Zachary Fine has taught clown workshops around the country for The Acting Company and for the graduate Acting programs at The University of Tennessee and the FSU/Asolo Conservatory as well as in New York with The Studio and this fall with The Scott Freeman Studio. He has also taught at the Public Theater’s Shakespeare Lab Jr. and The 52nd Street Project as well as many festivals and theaters around the country. He was apprenticed for two years with Master Teacher Christopher Bayes, studying Clown and Commedia, and assisting Bayes at Yale School of Drama and the Julliard School. His solo clown show, Walled In, ran for a month long residency at IRT Theater in the fall of 2011. *The Westside Experiment is an adolescent workshop at IRT supporting the exchange of ideas between teenagers and working theater artists, pairing them together to create original theater.